Well, folks, it’s hard to believe it’s been another year already, but here we are. 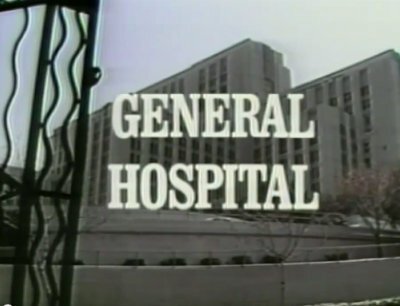 So, happy birthday, General Hospital! Even though I complain sometimes — sometimes a lot — I’m glad you’re still around. No, I don’t mean the big Bill reveal at the end. I’m talking about the surprise twist that the combination of Sonny, Julian, Franco and Ava forced to spend time together is actually… not terrible? Like, I legitimately guffawed more than once while watching Sonny’s pained expressions as Ava and Franco bickered in the back seat. To be filed under: things I never thought I’d see. 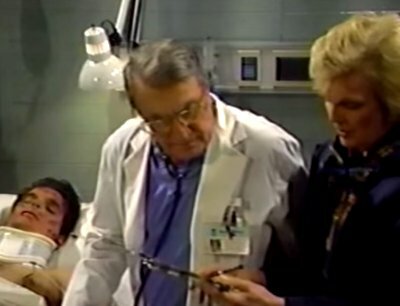 Hey, remember that time Jerry Jacks came back to town with a new face and a different accent and started gleefully torturing people he used to like with no explanation? Including the daughter of his former fiance? And remember how years passed and he never once even acknowledged that his relationship with Bobbie ever existed, because Bob Guza is the hackiest hack who ever hacked? JERRY: For God’s sake, Bobbie, we use to mean something to each other! BOBBIE: Oh, yeah? Well, anything we had ended on our wedding day when you got arrested. BARBARA JEAN IS IN THE HOUSE, Y’ALL. I was delightfully unspoiled for her visit, but when she opened the hotel room door and came face to face with Jerry, I actually started seal clapping in a really embarrassing way. YOU GUYS. I’M SO PLEASED BY THIS DEVELOPMENT.